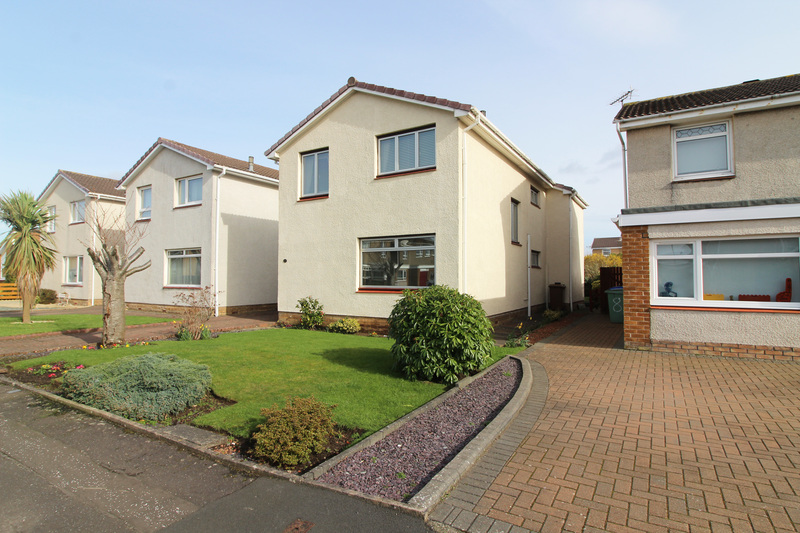 Hoppers Estate Agency are delighted to market this immaculate detached 4 bedroom extended detached villa in a popular area of Prestwick. 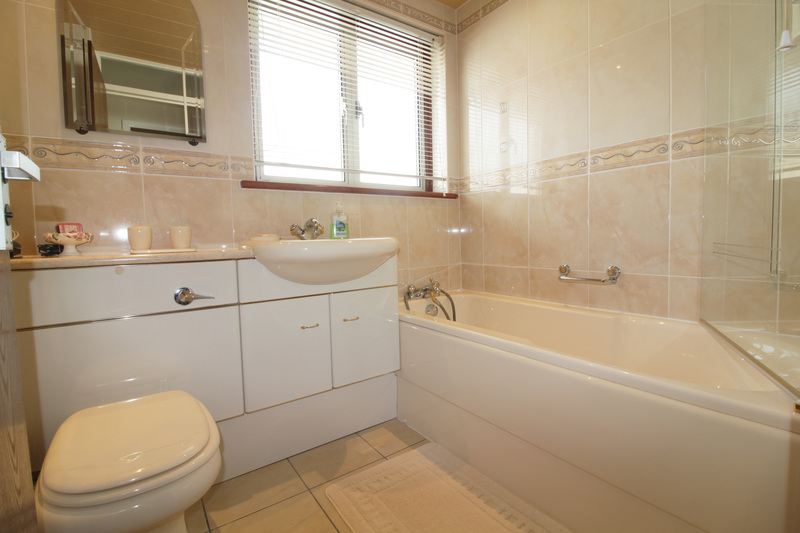 Comprising 2 reception rooms, kitchen-diner, 4 bedrooms, study, bathroom, en-suite and WC. 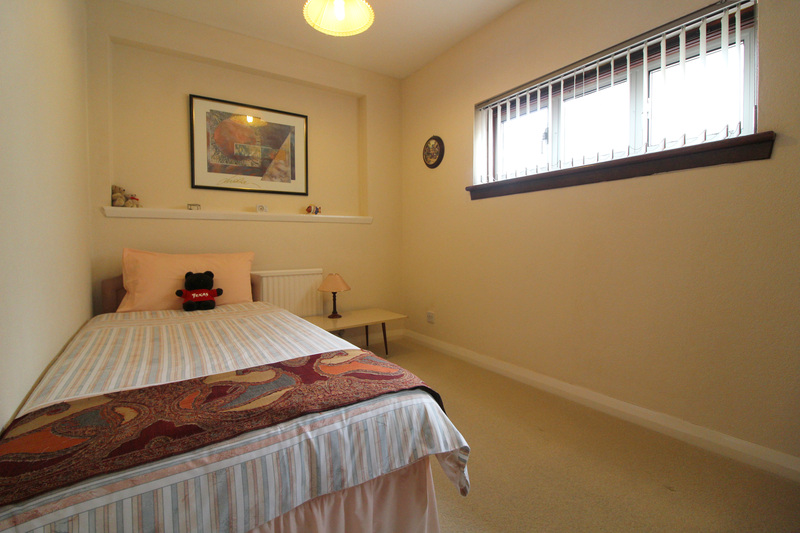 Gas central heating and full double glazing. 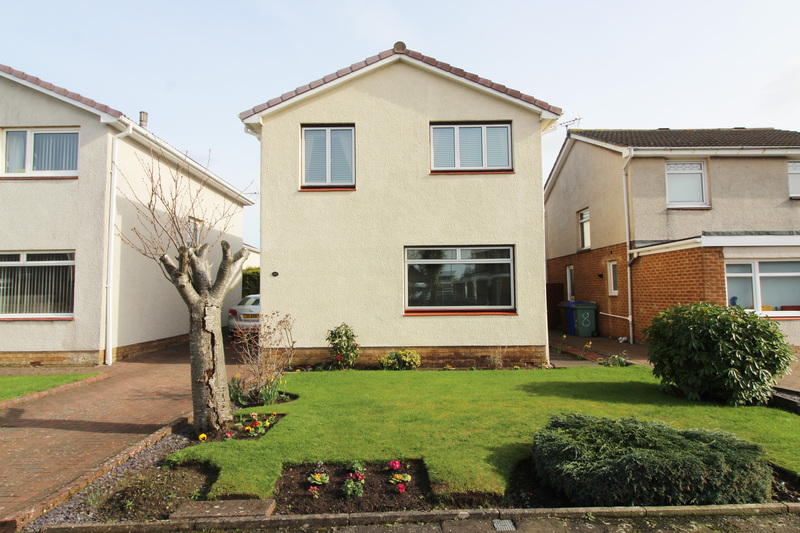 With front and rear gardens, driveway and garage. Presented in move-in condition. 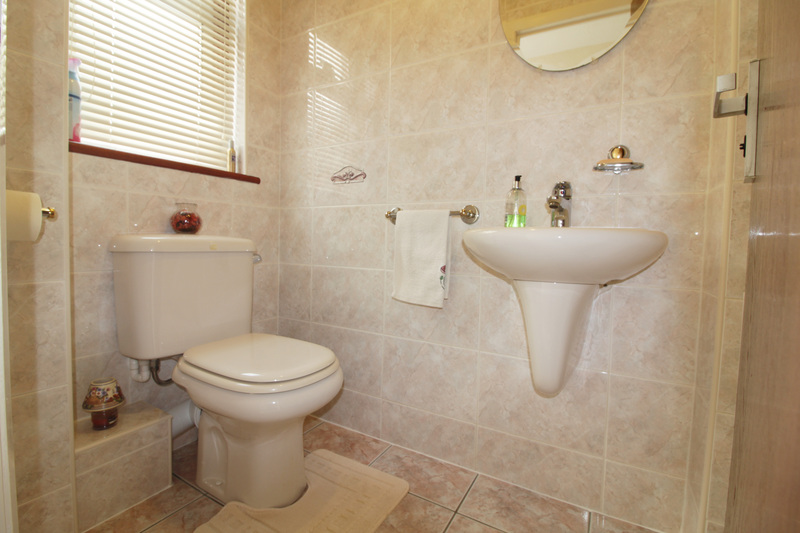 Viewings highly recommended to appreciate to flexibility and space available. 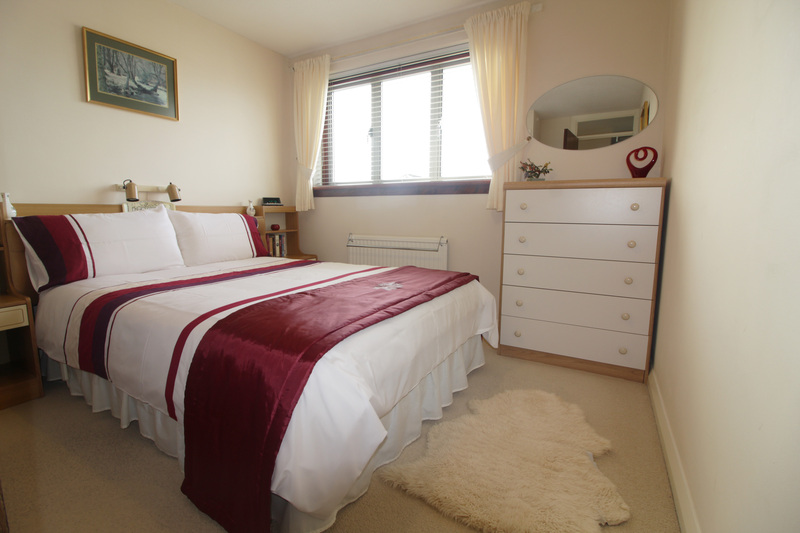 The interior of the property is immaculately presented, providing spacious accomodation throughout and a flexible living space. 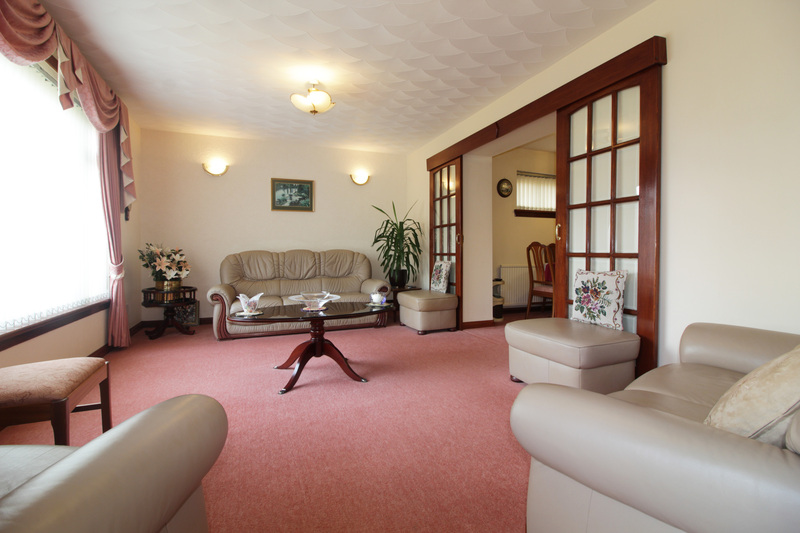 A welcoming hallway, with storage cupboard and WC, leads to the front facing lounge. 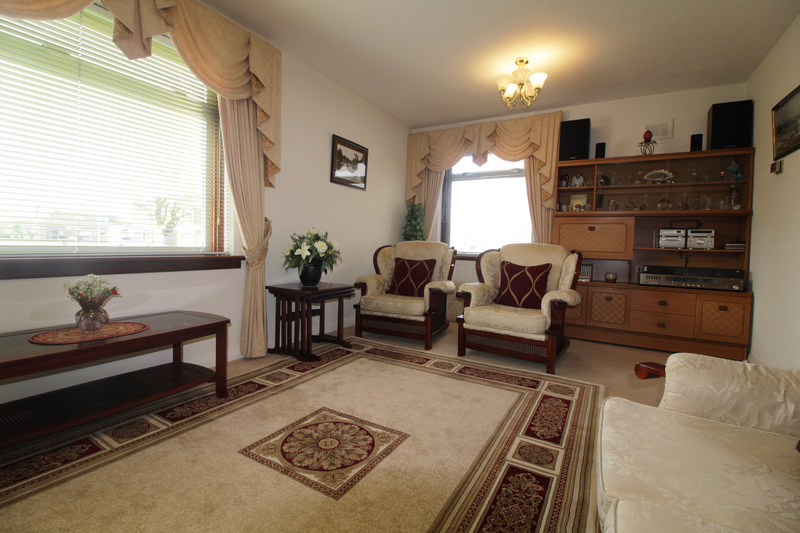 The lounge is bright and spacious, with carpeted flooring and neutral decor. 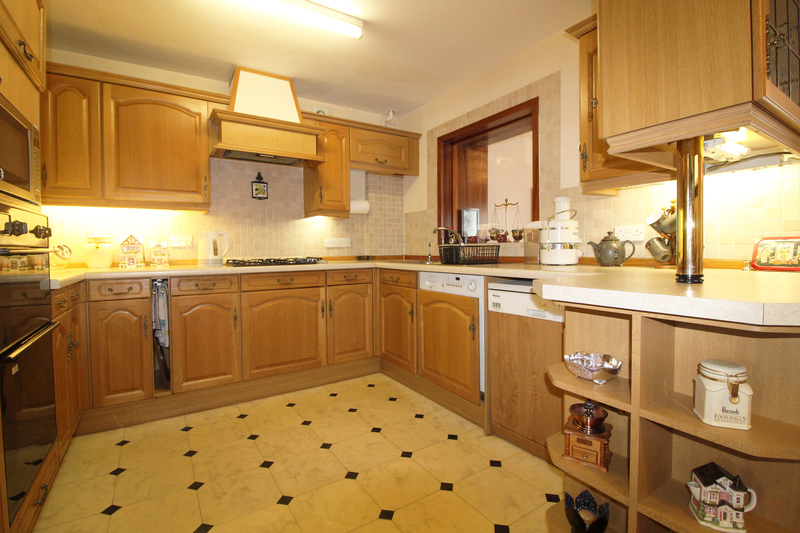 Across the hall is a kitchen-diner, with ample wall and base units providing excellent storage and worktop space. With integrated oven, grill and microwave, dishwasher and washing machine. 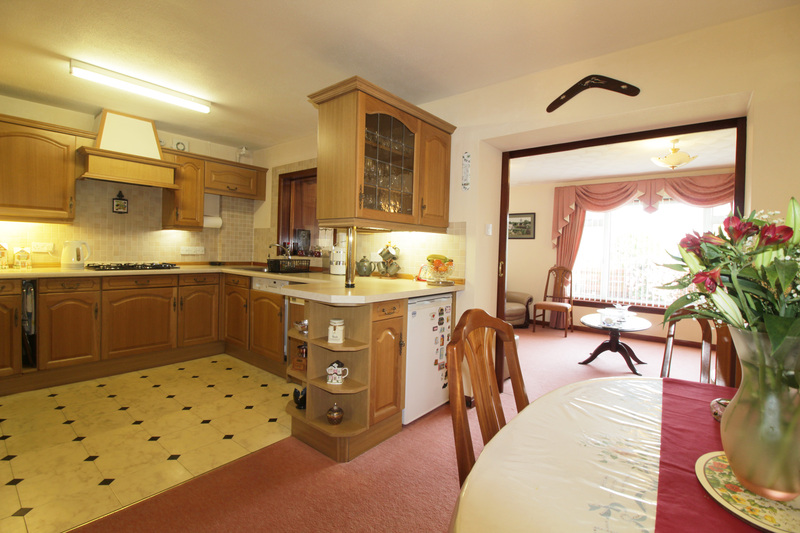 Outwith the main kitchen area is space for a family dining table. 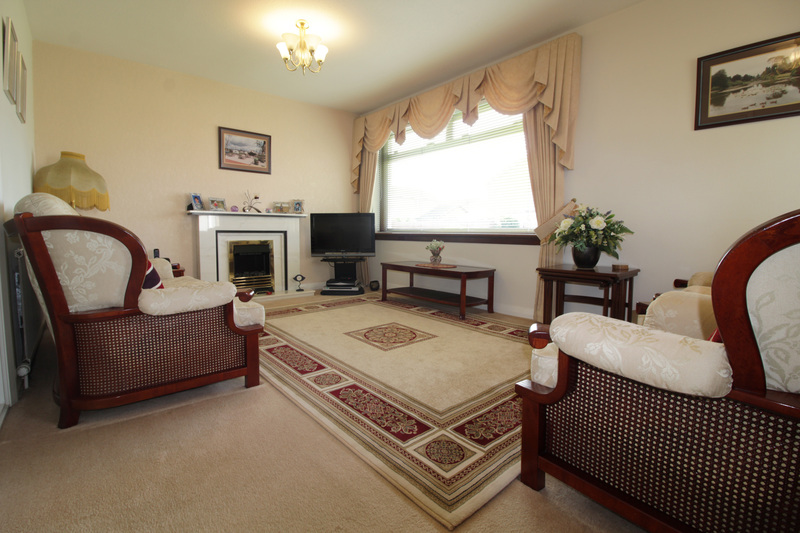 The property benefits from a large second sitting room at the rear, which overlooks the garden. 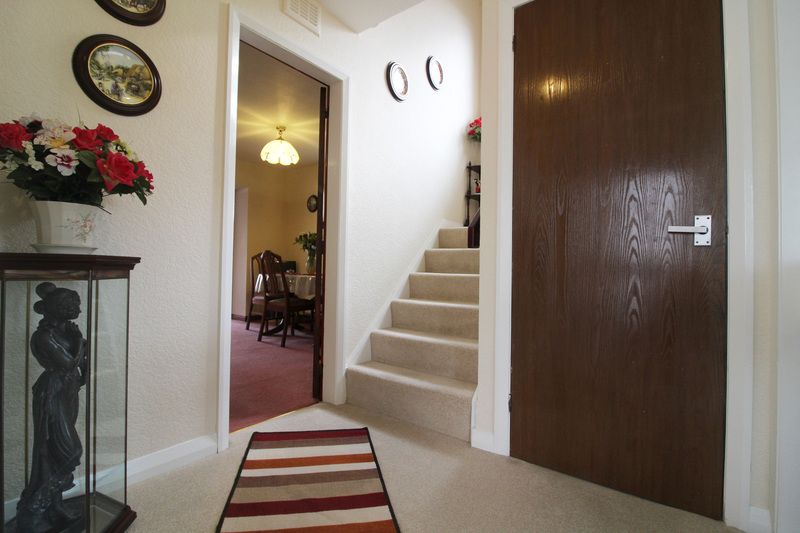 With carpeted flooring and neutral decor. 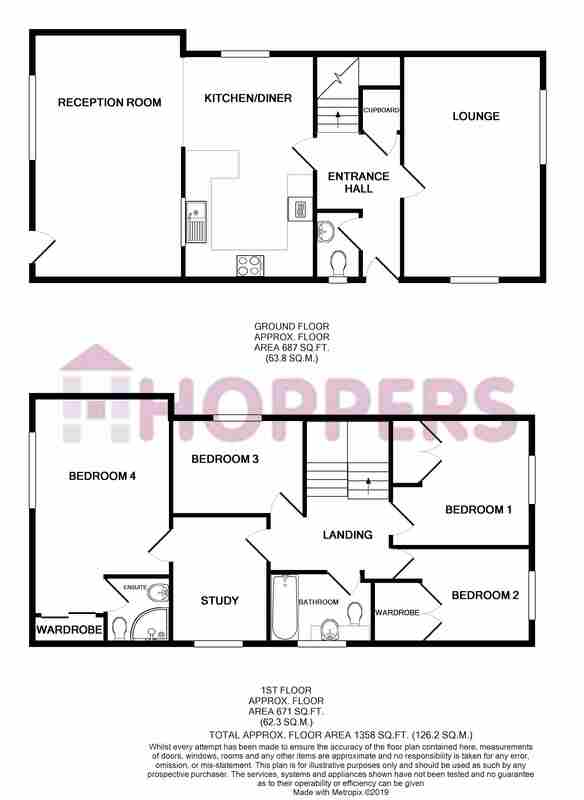 On the upper floor are 4 bedrooms; bedrooms 1&2 face the front, both are double sized with fitted storage. 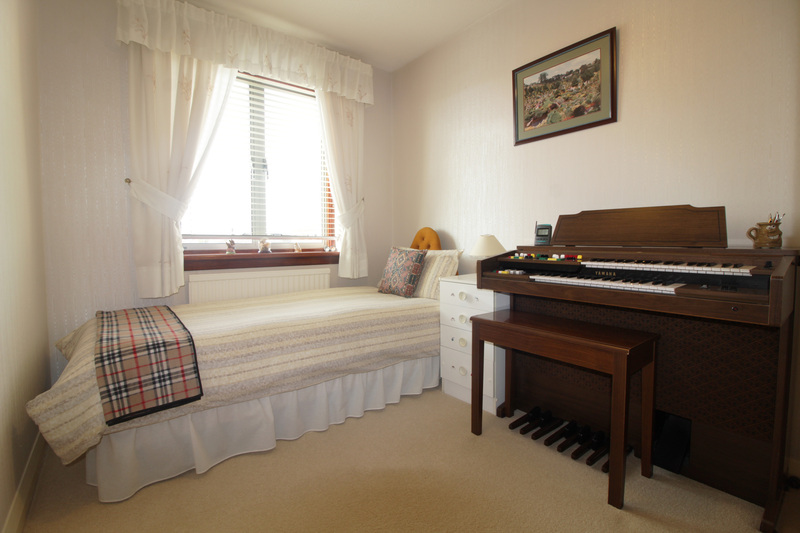 Bedroom 3 is a smaller single bedroom, while the master, bedroom 4 is a large double with en-suite shower room and fitted mirrored wardrobes. 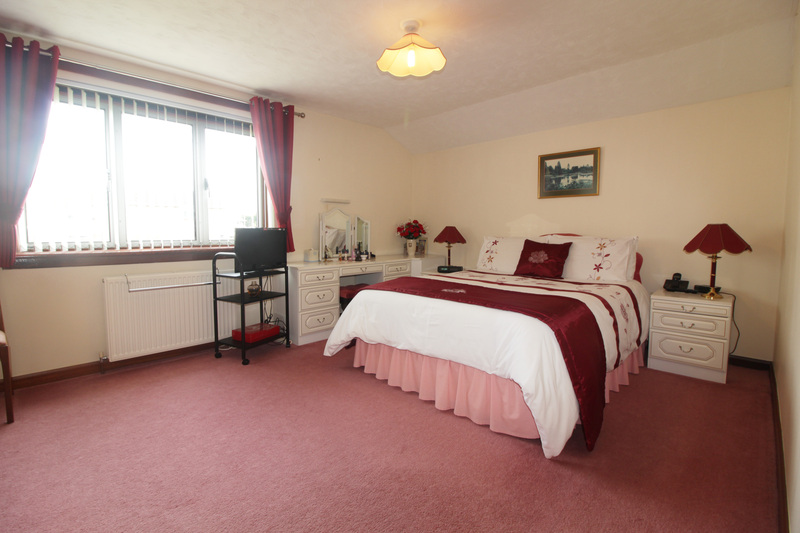 All rooms have carpeted flooring and neutral decor. 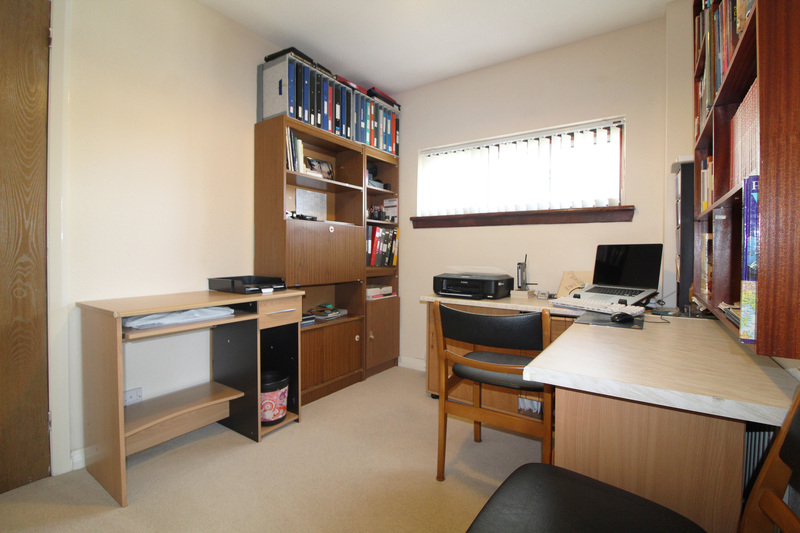 There is also a good sized study which provides access to bedroom 4. 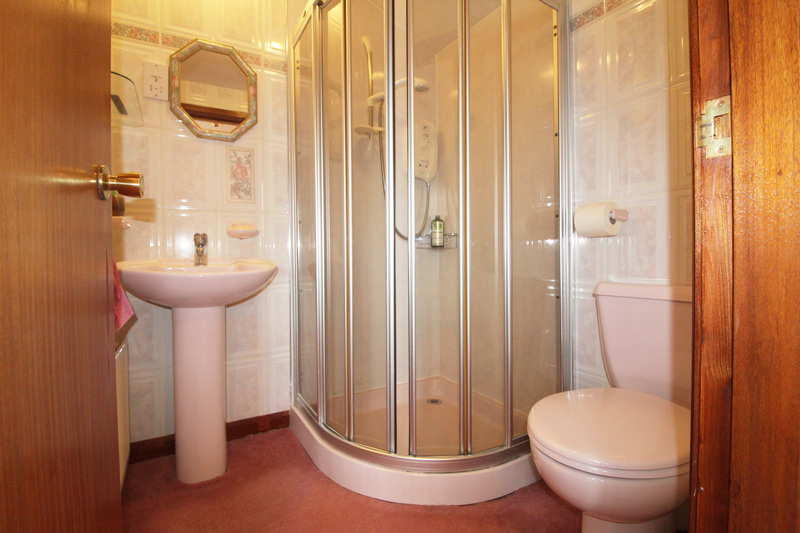 Also on the first floor is a bright family bathroom; with white suite comprising bath with shower above and toilet and wash-hand basin in vanity unit. 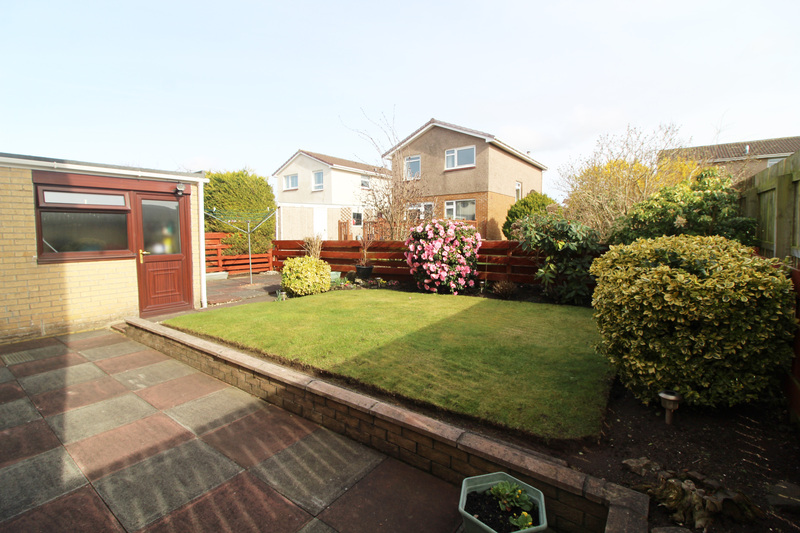 The property benefits from front and rear gardens. The front is a neat lawn with a driveway to side leading to the garage and access to the rear. 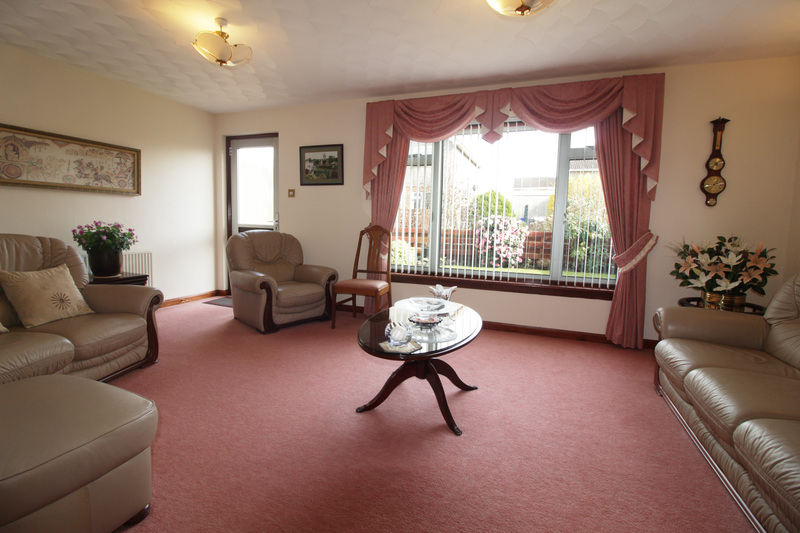 The rear garden is very well maintained, with lawn and patio area.